Spring is here and soon we will be in summer. The blistering temperatures will bring another problem for kids; a small thirsty mouths that need to be refreshed with clean water. But kids can be reckless sometimes. You don’t want your child to drink straight from public water taps because you’re not privy of where that water is coming from. Besides, public water sources are often known to be health hazards and carrying hordes of germs. Your kid catching Ameobic Dysentry from untreated water sources is unthinkable. For these reasons, there is need to equip children with water bottles in which they can carry safe water from home and drink it when at school or during outings. 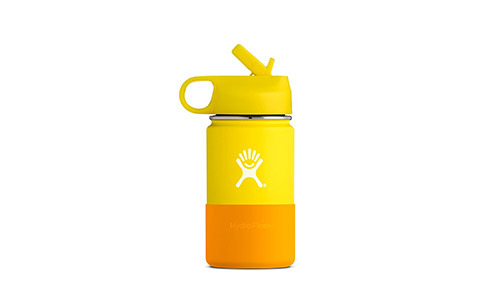 Besides coming in 24 different colors and 17 multicolored prints these water bottles are made of double walls with a vacuum between them to prevent the water from being affected by the heat from the environment. 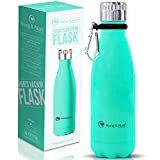 Made of powder coated gage 18/8 stainless steel, this bottle is one of the most durable and reusable gift you can buy for your child. They comes in capacities of 14oz, 18oz, 22oz and 30oz. 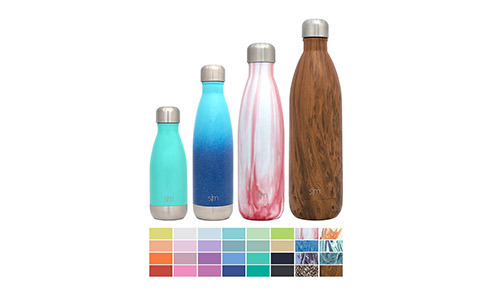 These bottles comes in 24 distinct colors and 8 multicolored prints. It has double walls with vacuum between them to keep the content in one condition; either hot or cold. The walls are made of gage 18/8 stainless steel and coated with premium copper which offers the much needed insulation. It is narrow mouthed suitable for children. The lid seals tightly rendering it leak-proof. Thermos Funtainer has a capacity of 12oz and can keep content cold for 12 hours. It can’t be used to hold hot beverages and comes in few colors. The thermos vacuum insulation helps keep the contents cold for long. Both the interior and exterior are made of stainless steel. It possesses hygienic push button lid complete with a pop-up straw. Despite this hygienic measure, washing hands is strongly recommended. The signature AUTOSPOUT lid comes with a spill-proof valve and lid so that your child don’t have to worry of spillage. The THERMOLOCK feature keeps the drinks cold for a maximum of 14 hours. 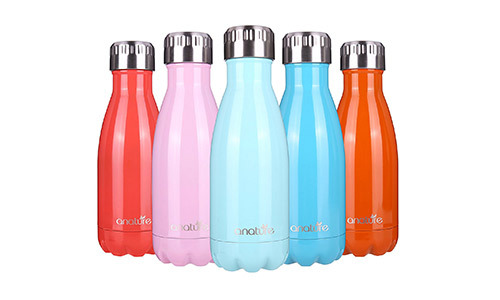 It is made of 100% BPA free gage stainless steel and comes with a lifetime warranty. An incorporated protective spout cover serves to keep germs and dirt at bay and ensure cleaner drinking. 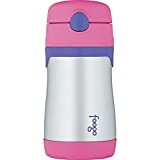 THERMOS FOOGO bottle is double walled to keep its contents fresh and cold for 10 hours and create a hostile environment for bacteria. 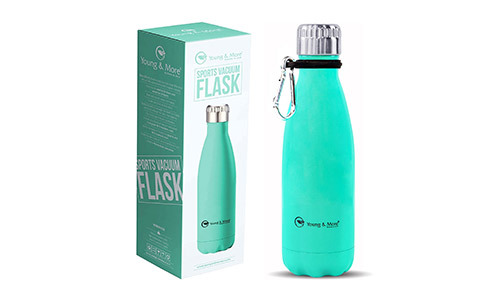 Both the inside and outside of the bottle are made of stainless steel for durability amidst rough use. A hygienic push button and pop-up silicon straw makes this bottle easier to use while promoting hygiene at the same time. It can be disassembled in four parts for cleaning purposes; the bottle, soft straw, stem of the straw and the lid. 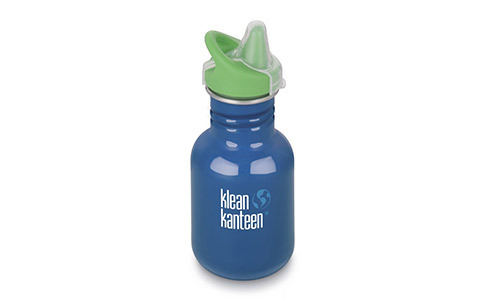 Klean Kanteen kids bottle is made from high quality and durable food grade 18/8 gage stainless steel. The accompanying Sippy Cap has a dust cover mode of Polypropylene and food-grade silicone. Its large 1.75” opening can fit ice and is easy to both fill and pour. The electropolished interior doesn’t impart or retain flavors. All Klean Kanteen bottles share the same classic caps so you won’t have difficulty replacing one when it gets lost. This water bottle comes with bike mounts and automobile cup mobile holders which makes them easy to use both in the vehicle and on the bike. 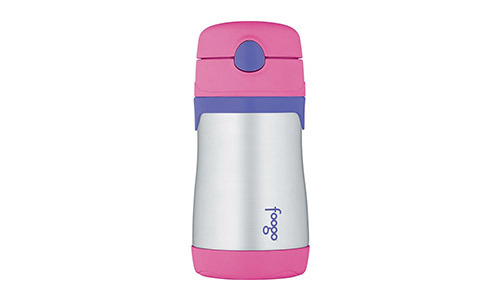 Its 18/8 gage stainless steel double walls keeps 12oz contents cold for utmost 14 hours. 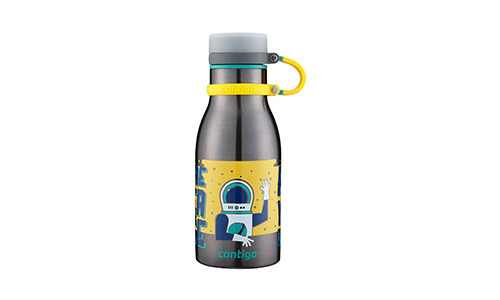 The sturdy design and leak-proof design makes this water bottle great for outings. The carrying handle is removable and can be easily snapped on a back. This bottle has a 90 day warranty. Children will find these bottles’ cola-like shape enticing. Besides the cool design, they can keep water cold for 12 hours, thanks to the double wall vacuum enabled by their stainless steel construction. They are just 2.5” tall hence convenient for those little hands. The heavy-duty dried coating on the bottle is hard to peel off while its laser printed logo doesn’t fade making it durable. The stainless steel used to make this bottle is 1005 food-grade and is reusable. 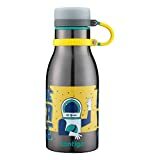 Hydro Flask Sports Water Bottle has a capacity of 12oz. It comes in just the right size for convenient grasp by little hands. The double wall vacuum insulation provided by the food-grade 18/8 gage stainless steel is able to keep the contents cold for 24 hours. The powder coating ensures a slip-free grip. The easy to clean lid and straw are made of food-grade silicone. 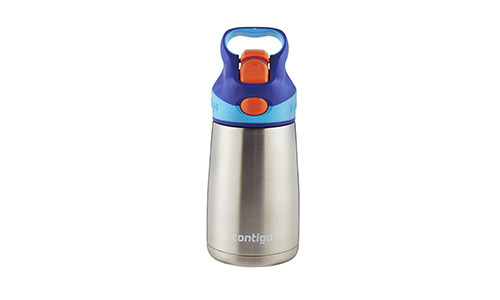 Contigo Thermolock bottles comes with adorable accents and long life stainless steel construction. Its leak-proof screw cap is fastened/tethered to the body. The double walls keeps water cold for 2oz hours. It has a measurement of 7.5” height and 2.75” width which keeps it in midsize range small enough to be easily carried by 10 year olds. A lifetime warranty means this water bottle is durable. Since children may need to go to long school outings where tend to be away from clean sources of water, the capacity of the water bottle matters. The water bottle should have large capacity while being easy to hold and carry around. Kids are mindless when it comes to soiling their hands and touching everything else they come across. A good water bottle should allow the child to open the lid by hands. For instance, a push-button that opens the lid and a pop-up straw minimizes the chances of kids ingesting germs. A good water bottle should keep water cold for long. A preservation time of 12 hours is great. Kids like colorful things. 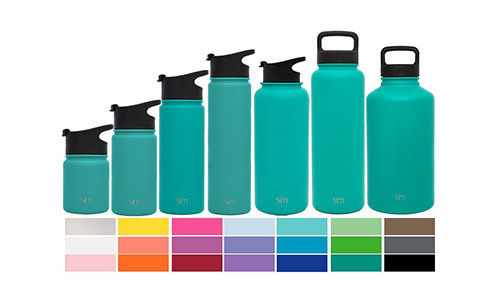 It would be good if the water bottle comes in all the colors of a chameleon. Water may look clean to the eye but remain laden with disease causing germs. It is thoughtful to prevent children from drinking public waters by giving them bottles filled with clean water from home. 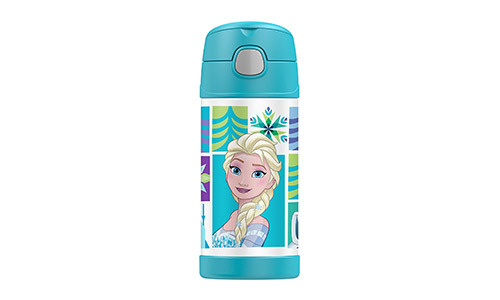 But how do you select the best water bottle for your child? The first thing you need to put into consideration is the capacity of the bottle. The bigger the bottle the more the water it will hold. However, a child should find it easy to carry. You also need to pay attention on the safety features that helps prevent the possibility of the child trying to open the lid with bare germs infested hands.